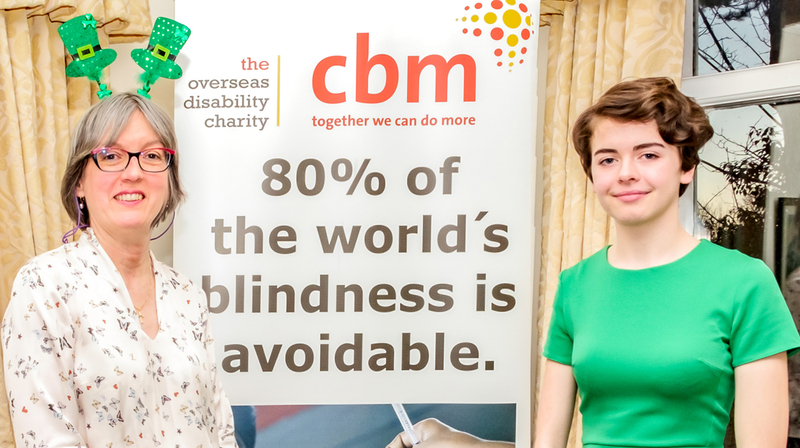 Cambridge student Isabelle Cory has raised over £1700 for CBM’s See the Way appeal by organising a celebration of music, poetry and prose for St Patrick’s Day – her first ever fundraising event. Guests were entertained by international jazz pianist Peter Lemer and his son Reuben Lemer on vocals, with voluntary audience participation. Isabelle, who attends Bottisham Village College, organised the celebration in Fulbourn, Cambridge as part of her Duke of Edinburgh Award - volunteering section, “I wanted to step outside my comfort zone and do something new”, she explains.